It’s here! The other limited release that Hoyne and company promised has been released! And as promised, it is an espresso stout, known by its full name Voltage Espresso Stout. And this time around, unlike that little misfire with the Wolf Vine Pale Ale, I arrived in time to get some fresh from the tap! No bottles for me… not until the growler is finished I mean. And as usual, the beer is pretty fantastic. As I learned from the staff while getting my growlers filled, the espresso which gives Voltage Espresso it’s character comes from the local coffee shop known as Habit. As a Victorian, I can attest that it too is an awesome operation, and it’s good to see independent businesses coming together like this. The Espresso beans are also roasted right up the road from a brewery, and then infused into the beer on site. Talk about a local operation! 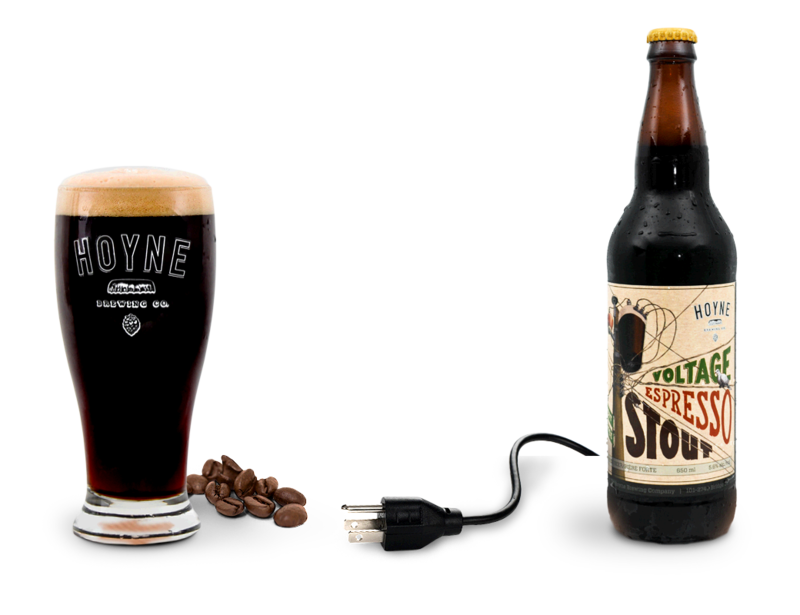 This entry was posted in BC Beer, Beer, Reviews and tagged BC beer, bc breweries, habit coffee, hoyne brewery, victoria bc breweries, voltage espresso stout by storiesbywilliams. Bookmark the permalink.